Remember when you were growing up and the older neighborhood kids would regale you with urban legends about all the hideous things that have snuck their way into unsuspecting foods over the years? We wish we were here to prove them wrong. We truly do. After a thorough investigation into such matters however, we can assure you that the validity behind such tales is not quite as bad as you’d think - it’s worse. 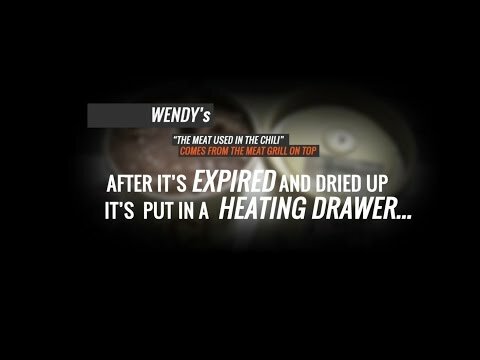 That’s why we’d like to take a moment to assure you that there’s still time to save yourself if you’d prefer not to see all these gross things found in fast food. If however, you’re prepared to discover the horrible truth behind the history of some of your favorite fast food joints, we invite you to proceed. Here we’ve collected a disgusting overview of some of the most disturbing stowaways ever discovered inside your favorite tasty treats. From the four legged to the furry, from the dismembered to the disgusting, prepare your gag reflexes for the worst. These disgusting things found in food run the gamut from human body parts to creepy crawly creatures. However, they're all plain nasty. Rest assured that some of what you’ll see here was clearly the result of an accident on someone’s part - a really huge, horrible accident - but an honest mistake none the less. Among the less fortunate displays however, you’ll find photos of senseless pranksters in the act that may or may not shred your last bit of faith in humanity. On the upside however, if you’re looking for a killer diet plan, the nasty things found in food here are sure to do the trick. Just pull up this list every time you feel a fast food craving creeping up and you’ll be thin as a rail in no time. In October 2015, a Subway customer in Lincoln City, Oregon snapped this photo of a furry rodent, which had been plopped on his friend's sandwich along with a scoop of spinach. "It’s the funniest thing I’ve ever seen, but it’s also the most disgusting thing I’ve ever seen,” Matt Jones, who took the photo, said. The health department promptly conducted an investigation and decided that the rat was likely sealed in with a bag of spinach by the supplier, which means that everyone who ate spinach that day was also exposed to the yucky rat-spinach, but the restaurant itself was clean. A milkshake lover in Downey, Ca got more than he bargained for when he stopped by In-N-Out for dinner. Fred Maldonado says he started feeling a little strange after finishing his burger and shake, and noticed two capsules in the bottom of his cup. According to Maldonado, he test the capsules and found out that they contained methamphetamine. When he went back to the restaurant, Maldonado says the manager apologized and offered him a free burger. Not pleased with the response, he decided to sue the So Cal chain. In-N-Out called the allegations "baseless." When Devorise Dixon bit into his chicken tender from a California KFC, he thought it tasted "hard and rubbery." Upon further inspection, he noticed it looked an awful lot like a rat, complete with a tail. He claims that he confirmed it was a rat with the manager and was offered a free meal, but instead chose to save the alleged rat and hire a lawyer. KFC has tried to contact Dixon with little success, and expresses doubt toward his claim, as chicken tenders can come in all shapes and sizes. Eventually, one of them has to turn out rat shaped, right? KFC has offered to have the tender tested at an independent lab to clear up what they hope is a really, really gross misunderstanding. In 2005, a man eating an Arby's sandwich noticed that the meat tasted a little odd. Upon examining the suspicious sandwich contents, he discovered to his horror that they appeared to have a fingerprint. That's right: real finger skin, just right there in a sandwich. He proceeded back to the Arby's, where he discovered the manager nursing a recent finger wound - the rest unfolded exactly how you're afraid it did.